I’m at Weymouth this week writing and had the great fortune to see the Moore County Hounds gather and ride off from this historic home and property this morning. 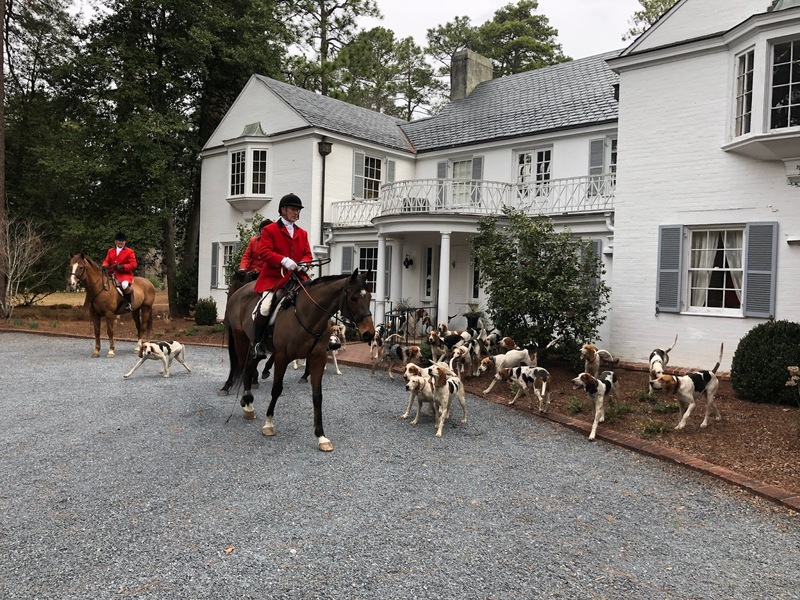 The Boyd family who lived here over 100 years ago started the hunt and this morning it could have been that long ago - what a sight to see the hounds and horses on the grounds as they would have been all those years ago! 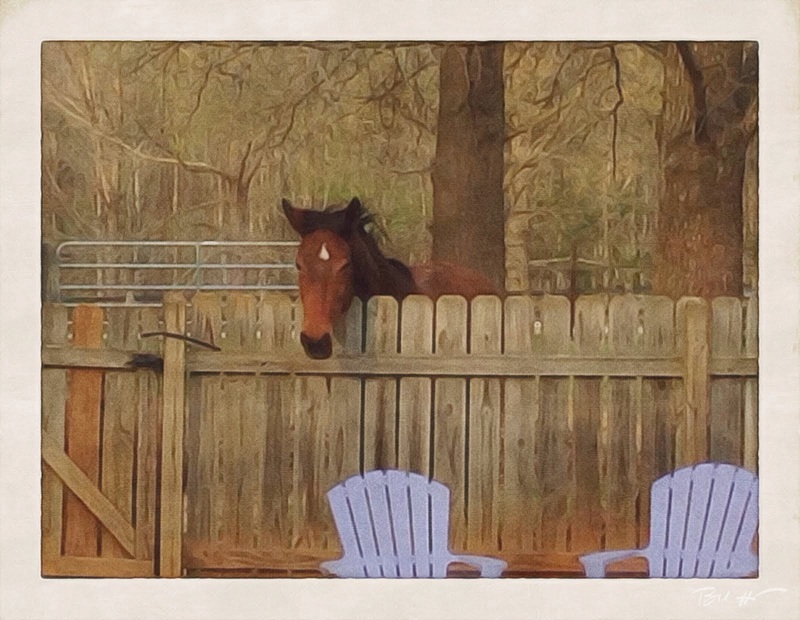 It was fun to see a few old friends from when my daughter rode with the hounds. I’m missing Keil Bay but having a wonderfully productive writing week and am grateful to Weymouth for hosting me and to my family at home who are holding down the farm so I can be here. What a treat! It looks as if the hunt could have been years in the past when it was a simpler time. Glad you got to see it. I'm sure you're having a productive time writing too. I am! We started the week at 70+ degrees and today it’s barely 40 with rain moving in. I’ll be home tomorrow just in time to do barn chores in the rain/mud. Sigh. But glad to see the boys in the barn and also the cats and Corgis and human family. It’s been awhile since I had a whole week! 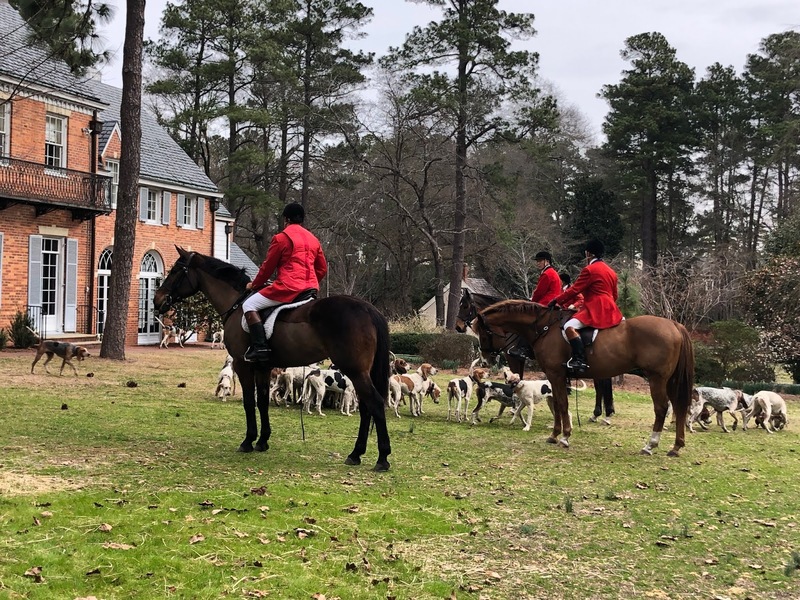 I have no issues with this group of hounds and their huntsmen. They ride for the chase and do not kill - the hunt ends when the quarry “goes to ground” or the hounds lose the scent. And most of what is chased these days are coyotes, who have become invasive in this area. 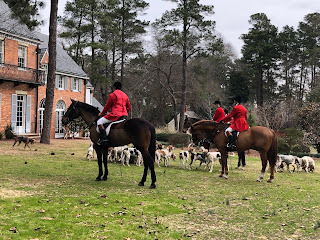 While the ability to own and properly care for horses, and to do the things required to ride with a formal hunt do fall in the category of those with a fair amount of disposable income, I’ve not often been in the company of a group of people so dedicated to animal welfare. They’re fun, generous people for the most part and collectively do a lot of good in the community. My favorite aspect of the group is the wide range of ages - it’s inspiring to see riders topping out at 70+ along with the very young riders on ponies. A family sport if you want it to be. If we lived locally to the hunt I would be proud to be a member! Though I suspect Keil Bay and I would be hilltopping! It was definitely a beautiful sight!